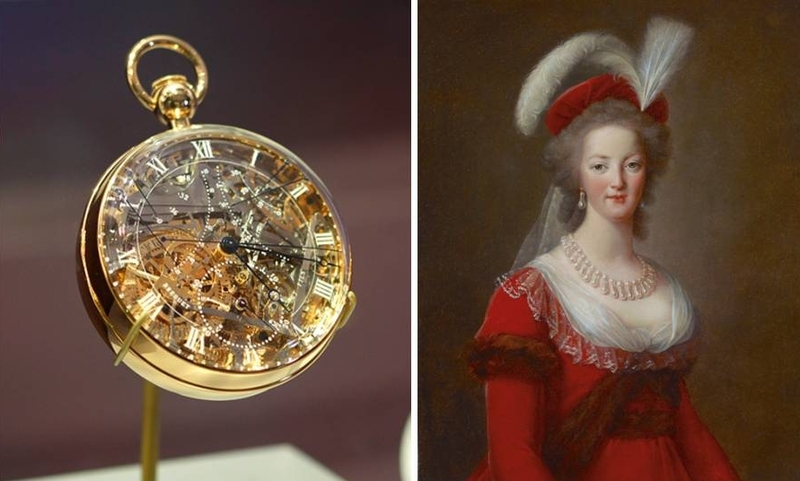 The most expensive watch in the world is the Breguet 160 Grand Complication Marie-Antoinette, valued at $30 millon. It was commissioned by an alleged lover of Marie-Antoinette in 1782. The complicated timepiece took 45 years to make. The watchmaker, Abraham-Louis Breguet, began work on the watch in 1782 and his son finally finished it in 1827, four years after his father’s death. Antoinette never got admire her gift because it was finished 34 years after her execution. Stolen in late 1983 and retrieved in 2007, many horologists consider it to be the Holy Grail of collecting.